Everytime you nurture curiosity you open wider the doorway to all possibilities. Curiosity goes hand in hand with confidence, and is the opposite of fear. Actively nurturing curiosity moves you from fear to confidence, and asking questions is the quickest way to do it. When you ask yourself an empowering question such as: ‘How can I make this better?’ You will be helping your horse and yourself. Learning happens by exploring possibilities, looking for answers, and being unafraid of making ‘mistakes’. Without curiosity we limit our chances of success. In every moment with your horse, can you stay curious by asking empowering questions? 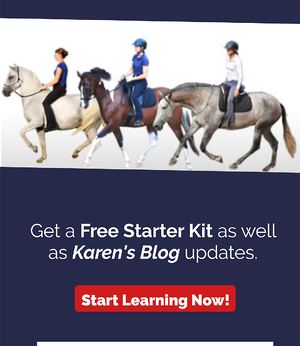 Can you recognize and nurture curiosity in your horse? What we choose to do in this moment can lead to success or struggle. If my horse has trouble the first question I ask is: ‘Does he need to do this now?’ . Ego often makes us stick to our plans, but there are always choices of what we could be doing in this ‘now’. If we have full awareness of time and how we choose to use it we can become masters of our choices. We can choose when we apply and release our aids, and our degree of patience in the process. In every moment with your horse, can you be aware of the choices you make about when you do what you do? For safety we need to be able to control, yet the more we use control the more we are dependent on it. Communication requires trust, but gives your horse the opportunity to learn and participate willingly. The more willing you are to listen, the more interested your horse will be with the conversation, and the more eager your horse will be to offer the best answer. To communicate clearly, have a picture what you are asking of your horse, make sure your body-language matches it, and give the horse some time to answer you. In every moment with your horse can you clearly embody your intention? Are you willing to listen to his answer?